As one of the UK's leading shoe retailers, Office serves the country with footwear worth wearing for both men and women. From sports shoes to formal event wear, and casual shoes to boots and sandals, Office has every base covered. You can shop from Office's own creations, as well as other brands, too, such as Adidas, Ted Baker, and Nike. Office specialises in shoes that are just a little quirky and whimsical - shoes that will definitely get you noticed, whatever your budget. Women can embrace the latest trends of chunky platforms and floral patterns or choose something more timeless, like a black stiletto; while for men, classic designs with contemporary twists will have you looking sharp and sophisticated. 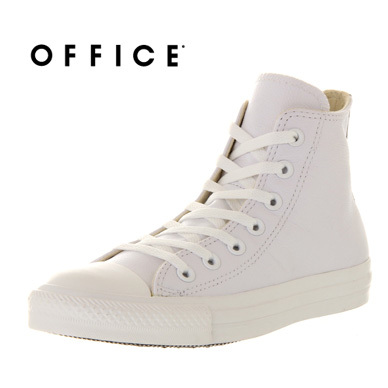 Add Office to your Favourites list and be the first to know every time they have a Sale on! 1st January 2018 - Office New Years Day sales for 2018. 7th May 2018 - Office Early May Bank Holiday sales for 2018, add to your diary now! July 2018 - Office Summer 2018 sales, joining us? 23rd November 2018 - Office Black Friday sales in 2018 start on Friday 24th November. Add products from Office to your Love Sales list. Get the Love Sales button now!